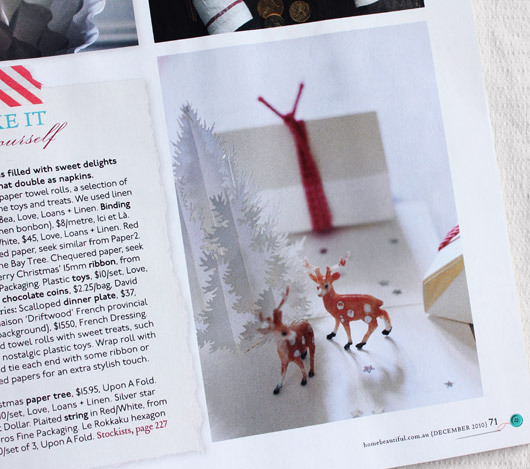 The sweetest styling by Stephanie Powell for Australian Home Beautiful magazine, featuring Hiroko’s Pop-Up Christmas Tree and my favourite Le Rokkaku gift boxes. Left – Marie Nichols works her magic for Notebook Magazine. Featured are the Moravian Stars and Belle Garland. 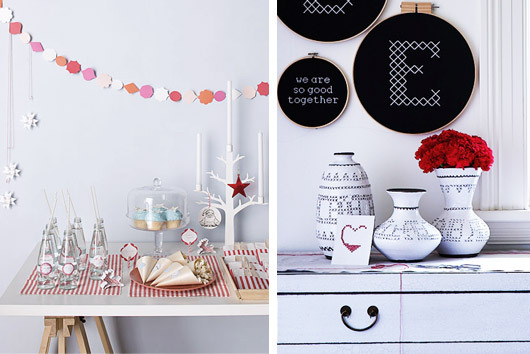 Right – More of Stephanie’s lovely styling for Australian Home Beautiful magazine, this time with the Freestyle Stitching Postcard. Natalie Walton‘s gorgeous styling for the Real Living magazine. I loooove the Love card and the hanging Dove card too – just so sweet. 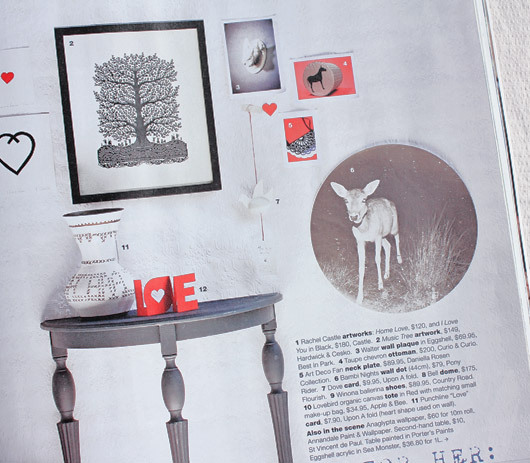 We’ve been so lucky to have a few of our shops products appear in some of the loveliest magazines this month. Above are just a few, but there are many more. I’d just like to say thanks to the following magazines for helping us get discovered during our first Christmas. A big thanks to Australian Home Beautiful, Inside Out, Real Living, Australian House & Garden, Country Style, The Australian Women’s Weekly, Notebook, Marie Claire and Sunday Magazine. Thanks for your support!